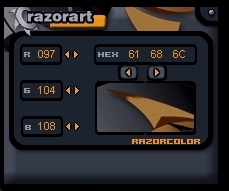 Razorart V2 for Colorpad. Based on the WB skin by the people at Ruined Inc. Thanks to Malform for his permission which is included within the zip file.